Special Rapporteur on torture Juan E. Méndez. Commissions of inquiry into torture and other forms of ill-treatment are effective instruments to fight impunity, but do not replace a country’s legal obligations to prosecute human rights violations, a United Nations independent expert stressed today. 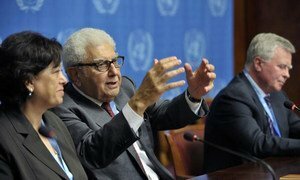 “A commission of inquiry by itself is never sufficient to fully satisfy a State’s obligations under international law,” said the UN Special Rapporteur on torture, Juan E. Méndez. Unlike criminal investigations and prosecutions, commissions of inquiry provide an opportunity for a deeper understanding of the underlying context in which violations were committed and allow for the review of government policies, practices and institutional shortcomings, and contribute to the healing of victim communities, providing recommendations on reparation and guarantees of non-repetition. “Commissions of inquiry are strong and flexible mechanisms that can yield ample benefits for governments, victim communities and the wider public, but they do not relieve States of their legal obligations to investigate and prosecute torture, and to provide effective remedies to victims of past violations, including reparation for the harm suffered and to prevent its reoccurrence,” Mr. Méndez said in a report to the UN Human Rights Council. Mr. Méndez’s report aims to generate further discussion of the standards that apply to the establishment and conduct of commissions of inquiry, and the relationship between such commissions and the fulfilment by States of their international legal obligations with regard to torture and other forms of ill-treatment. The United Nations-mandated commission of inquiry that probed human rights abuses in Libya reported today that crimes against humanity and war crimes were committed by both the troops loyal to the former ruler, Muammar al-Qadhafi, and the forces that fought to oust him.